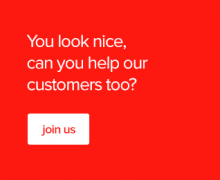 We'd love to hear from you about whatever you need. When it comes to migration, there’s no question too big or small for us. Give us a call, send us an email or get in touch through our dedicated 24/7 helpline. Please note that in accordance with regulatory changes the UK telephone number will incur a pence per minute rate and your current provider’s access charge.